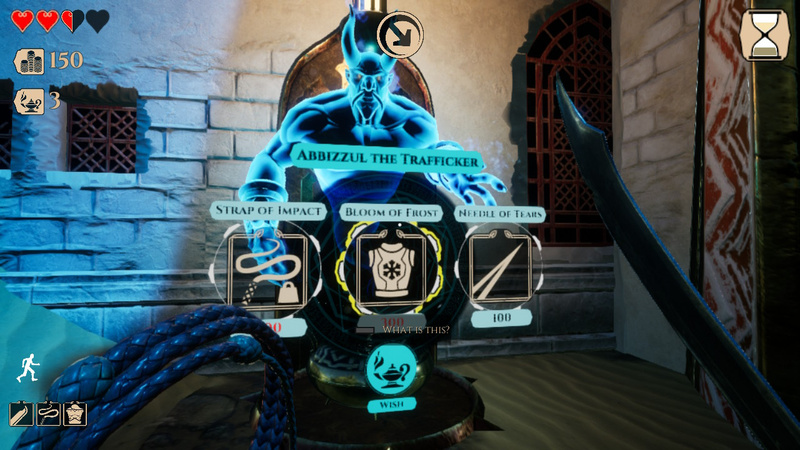 City of Brass is all about greed. Naturally, you love pilfering shiny and sparkling trinkets, but just how close will you tread into the unknown to sate your desire for wealth? Will your avarice help break an age-old curse and claim limitless riches, or condemn you to an eternity of torment? It's an intriguing premise, and one that fits the oft-used roguelike template like a freshly-stolen glove. 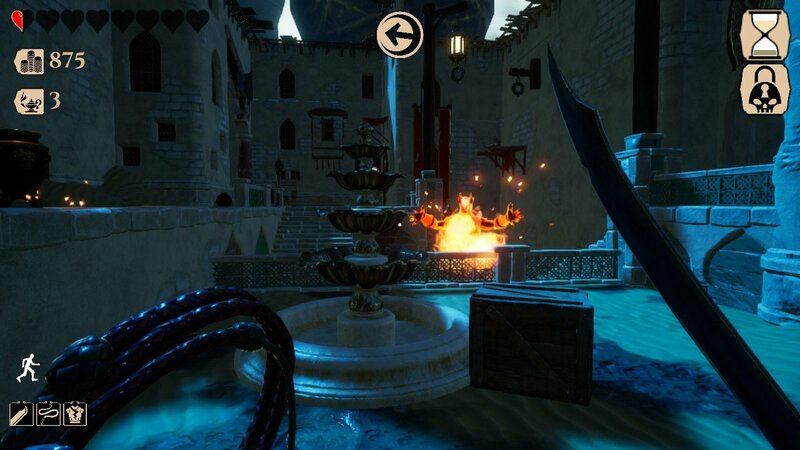 City of Brass takes that tantalising prospect, wraps into a mythical Arabian shell and leaves it for the taking on Nintendo Switch. While its sand-swept streets and shining towers may remind you of musical numbers and cartoon flying carpets, we can guarantee this is no Disney-themed adventure. 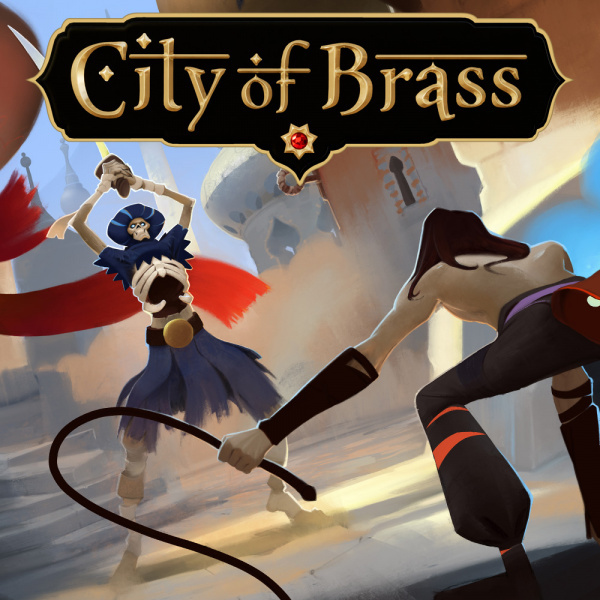 The titular city is a nightmarish metropolis filled with treasure, traps and monsters in equal measure. With only a Castlevania-style whip and a bladed weapon to your name (and an unhealthy thirst for silverware), this first-person roguelike sets you a simple task: reach the centre of the city. Any riches you find on the way are yours... if you can survive long enough to spend them. Every time you enter one of its districts, the layout is randomly changed so you're always on the back foot. Should you die – and you will, more often than not – you'll keep your XP (accrued from defeating enemies and collecting treasure) but lose all your coinage. The key is to know when and where to spend your cursed cash. 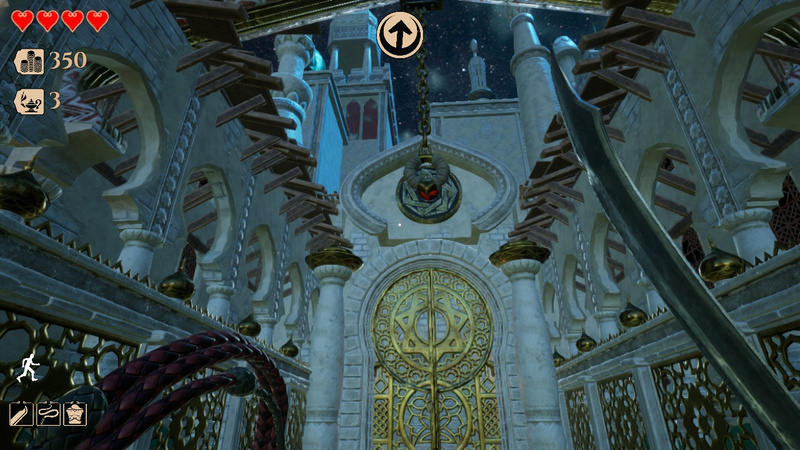 Scattered throughout the city's courtyards, corridors and dungeons you'll find lamps and the genies that lurk within. Each one offers a select number of buffs to buy, if you have the coin to trade. If it scores this well on other sites i will defiantly buy. That is the physical release witch would almost defiantly follow with all the rave reviews. Kudos. It's not every day you get a game that's arabian themed. This game gets amazingly varied scores from both review sites and users. I want to try it now to see why it's so polarising! Been watching this one. Great to hear a good review, to begin. I'm waiting for more reviews, before I pick it up. I'm not sold on this one, particularly with how its reviewed on other platforms, but I'll put it on the watch list for now. @misterMike Switch is the best thing in the whole universe. If it's a decent game, the fact that I can play it on the loo automagically adds 2 points to the review score. @misterMike the Switch is exactly that! Anyway, I always find it amazing that people like you complain about review scores but keep visiting regularly. Because this is a reviews site first and foremost. If you come here for Nintendo news, wouldn't it be more convenient to stay with Gonintendo or Nintendo Everything, both of which provide more and faster news? @misterMike It has an average of 69 but the top score is a 100 and the bottom is a thirty. It's a divisive game. Doesn't mean NLs score is wrong. This game looked really interesting when i saw it on the eShop page. A First person Rouge-like game in an Arabian setting? Seems like a cool idea. I'm going to wait to see how reviews fare on other sites first, but this review gave me a good first impression. I bought this on PC because of the theme and love it. I can see why it's not everybody's cup of tea, but it was fun for me. Even better, the devs actually listened to feedback and implemented "Divine Blessings" for those of us who had a hard time with the default balance of the game. There are also Divine Burdens for those who want a harder experience. It's very rare for devs to be so responsive these days, so I'll probably pick this up on Switch as well, just to support them. To be fair those metascores reviewed the first version of the game. This game is not a roguelike. Maaaan, it's sad when INFORMATIVE sites don't know what a roguelike is. @misterMike According to Metacritc there were 25 80%+ games released in the last three months, which is 2 per week. And that only includes the ones that actually have 4 scored reviews. Switch is indeed amazing. @Captain_Toad Seriously! ...I’m getting some old Magic The Gathering vibes from this game. It’s appealing! @misterMike If you feel that Metacritic averages are the only thing to trust, free to look up NL on Metacritic. You reference the sponsored ads as reasons not to trust NLs opinion for a Wargroove, Observer, and Smite but their scores are right in line with the score average shown on that site. I'd prefer it if we didn't have review scores. Then people would stop moaning and actually talk about the review instead of an insignificant number at the bottom. All over this, prepurchased and ready to roll. I absolutely LOVE the aesthetic and atmosphere and I think it's gonna be a blast! C'mon peeps, there's an ignore function for a reason. @misterMike why do you hold scores so highly. Why do you hold the switch accountable for what many third party companies are producing. At the end of the day scoring a game, movie or whatever is subjective and should not be the only factor that determines your enjoyment. The switch has amazing games, the critically acclaimed ones, and the ones you enjoy because of who you are. Just like every other console out there. I have been looking into this for a while now. Was initially put-off by reviews of this title's previous releases, but I love this style of game and the setting is giving me the PoP vibe. (Seriously, UBISOFT, where is our PoP Trilogy HD on Switch!?!?!) Will snag this when it goes on sale. Also, why the hell is everyone so bent up about the scores on this site? There's alot of awesome games on this COMPLETELY awesome console and I don't see anything wrong with lots of good scores floating around. It's all subjective too, one man's 9 is another's 5. 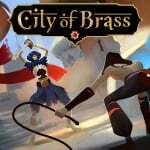 Take City of Brass as the example right now- I saw an article about it coming to Switch and was immediately stoked. I love the whole vibe of the game and I can see myself spending a stupid amount of hours in that world so I prepurchased it even though the reviews are super divisive out there. Now, my favorite gaming site gave it a glowing review so that's cool, but it doesn't change how I initially felt. I was stoked on it before this score and I would have been regardless of the number. Just sayin', this is all kind of a waste of time right? I completely agree. I looked at other reviews, but I have been excited for this game for awhile now also. I know I am not going to always agree with reviews, but I try to gauge who is reviewing it by remembering other games I have either agreed or disagreed with them on. It's all about taste. As much as I love first person games, this review didn't do much to convince me that I need this game in my life. I will have to think about this one for sure. Well this game caught my attention. @misterMike NL only has so much time to review games. That's why the short form Indie Roundup has become a thing. They have been saving longer reviews for games that are a bigger deal. If it turns out that those bigger games are actually good can NL be faulted for giving them good scores? The only game I can see on NL's review list in the last month or two that seemed undeserving of its score was that Dragon Rider game the other day. I'm not saying that City of Brass is a 9, I haven't played it either. But look at Metacritic and in addition to IGNs 4 there is a perfect score listed for the game too. There are also multiple other scores in the 80s and several in the 50s. It's a "Your Mileage May Vary," kind of game. Out of curiosity, did you go to the site that gave it a 40 and accuse them of hating the developer? Observer and Wargroove are right in line with other critics. That doesn't sound like bias. @Tirza "This game is not a roguelike. ... Maaaan, it's sad when INFORMATIVE sites don't know what a roguelike is." Like it or not, the term "roguelike" has changed over the years to mean any game with randomized content and a perma-death mechanic. Go on sale and I will pick it up. As soon as i read it was from the BioShock devs I was sold! Now if I can just get a chance to play it!! I’m sure the 9 is deserving! I really, really want to like this game. I really want to believe the score. But I don't know. After watching some gameplay this morning, I found myself bored out of my mind. Maybe I need to watch a different video. @misterMike Thumbs up for the Oprah reference. I agree with you. I enjoy this website as much as the next person but as of late I do not trust them when it comes to reviews. At all. Before I get this I have to finish immortal redneck. Roguelike 'lite just needs to die. It's so boring. 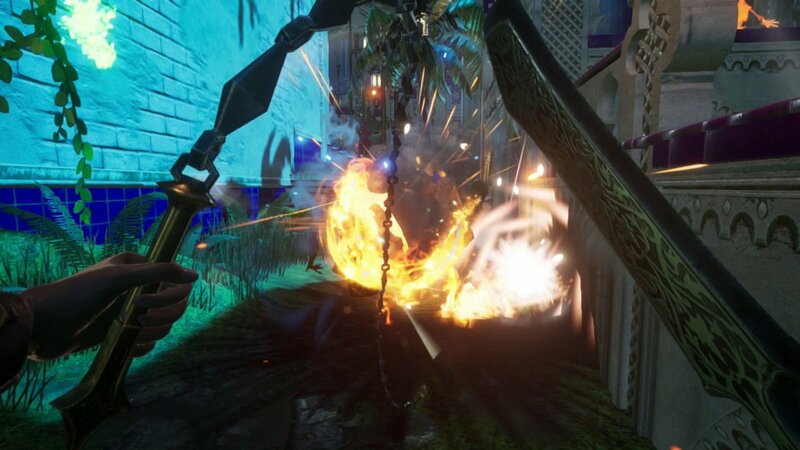 Looks like a must have game with a 9/10 and being an fps game. Does it have an ending? Straight up- if you like anything about the look of this just go buy it, it looks amazing, plays amazing, runs great, and it is absolutely worth a 9/10 score. I’m not sure what the negative/divisive reviews are all about cause this game is amazing. 9/10? That’s extremely generous. I find the controls to be pretty janky. 7/10 at most imo. This might even be my favorite rogue-whatever yet, it’s absolutely a 100% blast to play and you truly do get better every time. Definitely my favorite 1st person game ever, it SO fluid. I know I’m gushing about it but seriously...Uppercut nailed it with this one and I hope we get to see more from them soon. @SetupDisk I got this and can confirm that Immortal Redneck is a far superior game.